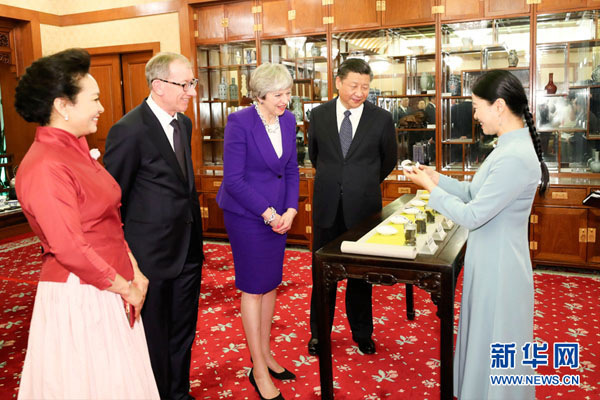 Xi Jinping and Theresa May take part in a tea ceremony accompanied by their spouses at the Diaoyutai state guesthouse, February 1. Chinese tea become the major object to present the characteristics of Chinese and her culture. The tea ceremony is not only a diplomatic protocol. The greatest common point between the peoples of China and Britain may be the love of having tea. As early as the 17th century, tea from China was sold in British coffee shops and Chinese Tea became a popular luxury of the time. For hundreds of year, afternoon tea has become one of the most important British lifestyles. Even if the way of life and thinking may vary, people always put aside their difference for a tea break.Since ancient times, Chinese tea had been spread to Europe along the Silk Road, later drinking tea became a global fashion. For more than a thousand years, tea, silk and porcelain had been exported through thousands of miles of the trading routes through mountains and over the seas, which became the most important link of cultural exchange between China and other civilizations. China is the homeland of tea. 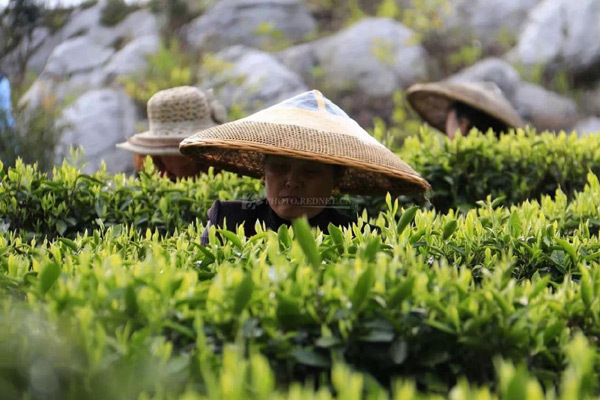 Chinese Legend says that tea was discovered by Shennong-shi ( also called as "Agriculture God") before 2700 BC, and archaeologists proved that tea plantations began more than 3,000 years ago in southern China. It can be said that when ancient Egyptians were building the pyramids, Chinese began to drink tea. Hunan Province is one of the most important tea producing areas in China, of which Anhua is the most important place of producing Hunan tea. 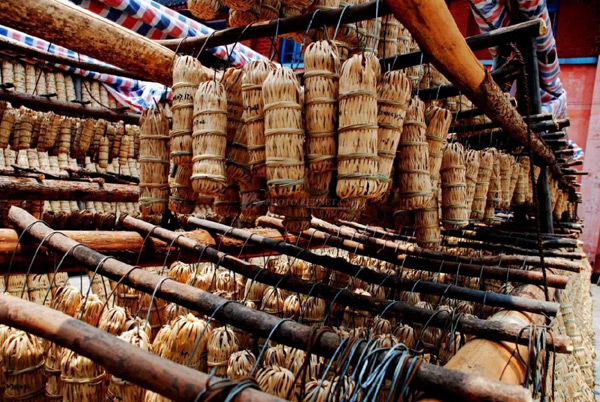 According to historical records, Anhua tea was the tribute to the royal families from the beginning of the Tang Dynasty, especially Qujiang Tablets Tea. 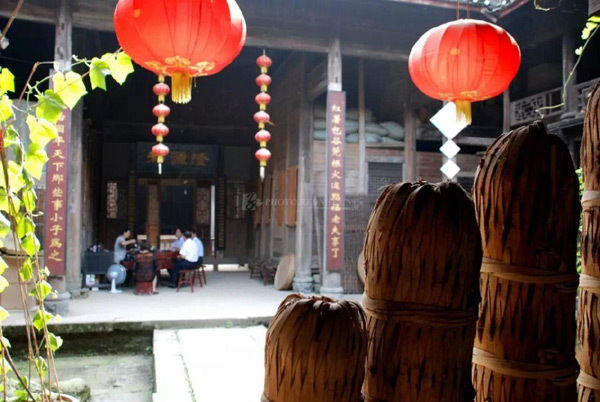 In the Song Dynasty, Anhua became the most important county for tea producing due to the Tea-Horse Trading with the ethnic minorities in southwest China. 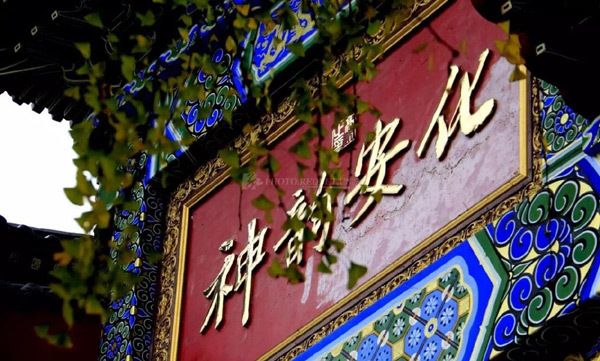 At that time, as Qujiang Tablet Tea,the representative of Anhua tea was not a modern Heicha ( translated as Dark Tea in English) , which gradually entered the category of Heicha by the process of pan fried, piling and fire baking in the first stage of producing. 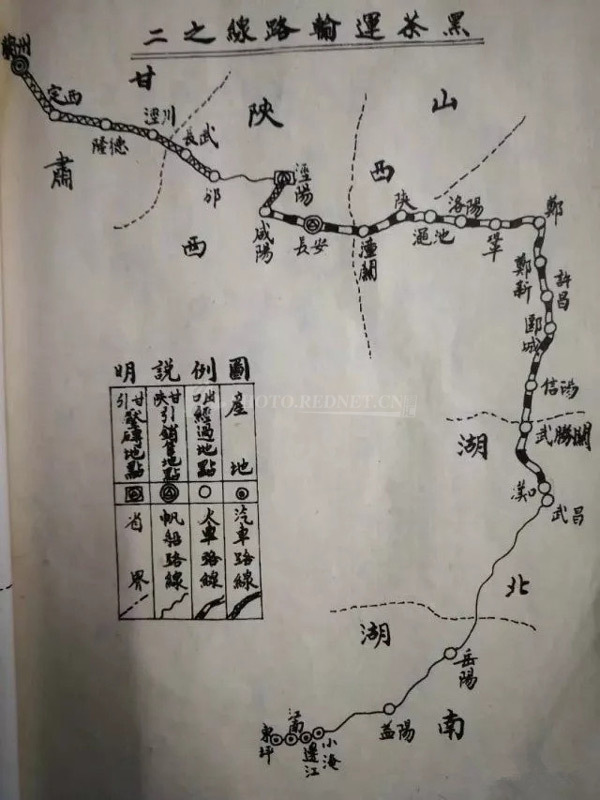 During Jiaqing Period Qing Dynasty, people in Anhua created new types of Heicha such as Qianliang Tea, Anqian Tea and Gongjian Tea, Gongjian Tea, Shengjian Tea, etc. Qianliang Tea has a simple and magnificent shape which is made by unique manufacturing techniques, with the reputation of“the representation of Chinese tea culture" and "king tea of the world ". Since then, the two words “Anhua” and “Heicha” become a set phrase . Tea horse trading with the southwestern ethnic minorities continued for thousands of years. 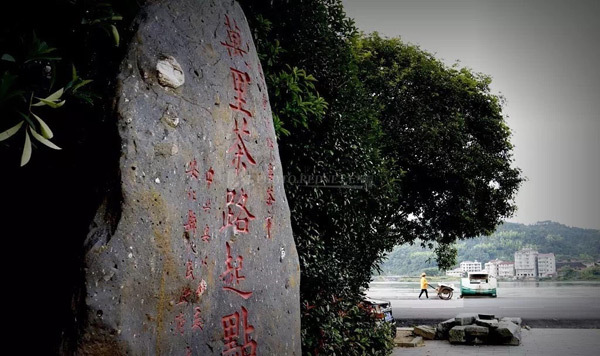 Anhua also became the capital of tea production in Hunan Province and even in central China, until the 20th century. In the late Ming Dynasty and the early Qing Dynasty, Hunan tea became the main commodity for tea-horse trades with northwestern ethnic minorities and it was exported to Europe in large quantities, especially Anhua dark tea and black tea. 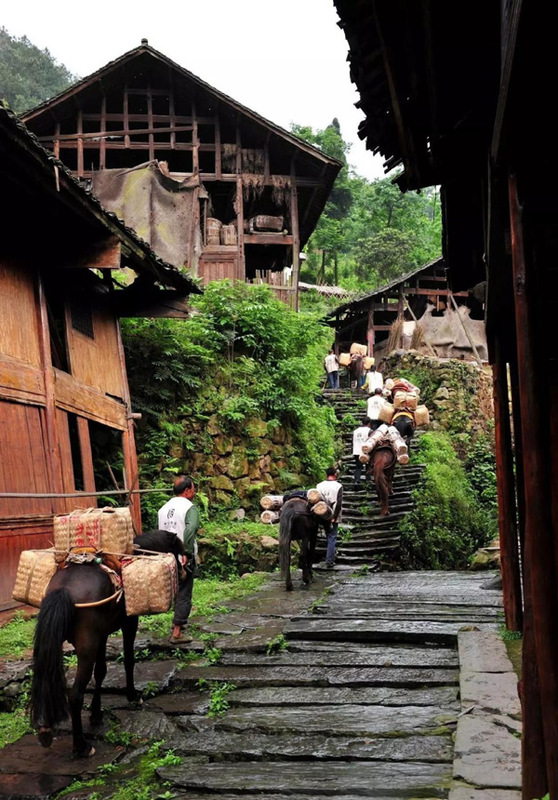 The Tea Horse Road transport tea from Anhua County of Hunan and Fujian Wuyi Mountain by crossing the Eurasian continent. For two hundred years,Anhua tea were traded to the world. First, tea packages were carried down by Anhua tea farmers and by their horses from the mountains, to concentrate their commodities in Niutian station of Jindong City; then they transported tea by boats along the streams to Zijiang River, Dongting Lake and Yangtze River; finally the boats arrived in Hankou of Hubei Province. 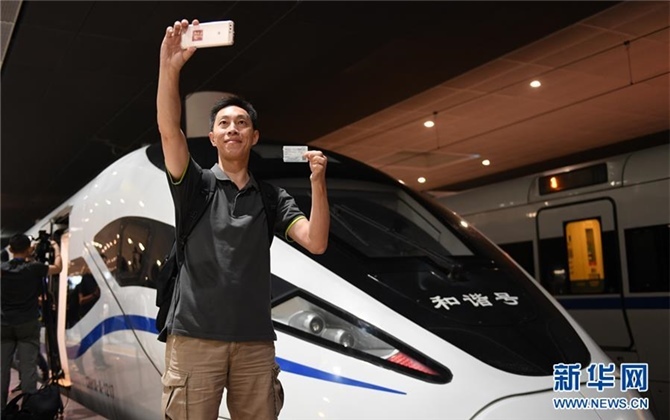 Those tea then were sent on the long trip of 13,000 kilometers through China to Mongolia and Russia, and later to Central Asia and other European countries. 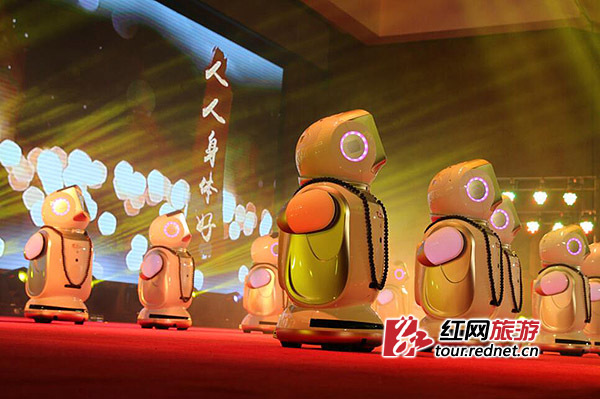 It is the longest and the most arduous trading trip in human history. Along with people's footsteps, tea travels from the mountains to the borders, and from the domestic to the world. Different types of tea are made and defined according to different cultures. 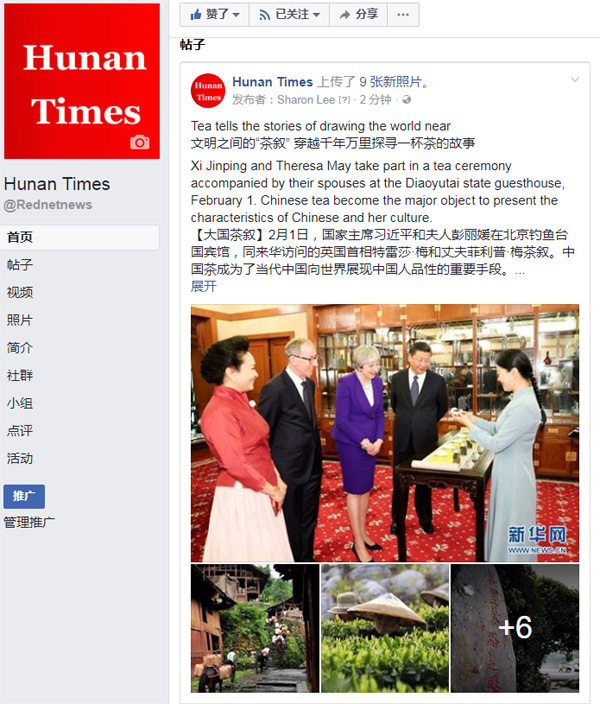 We may take the tea ceremony in Beijing mentioned above as an example. British Black Tea is usually called as Hongcha (which means red tea) in China, and Chinese called their tea Heicha (meaning black tea literally ) only due to the process of post-fermentation in Hunan Anhua and other places. In English, Heicha is called as Dark Tea. 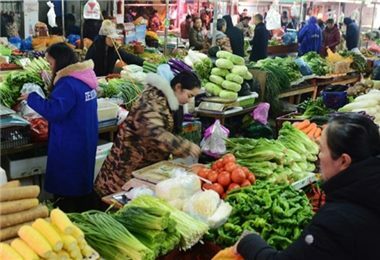 "The tea that can bloom golden flowers should not be called Dark Tea, " says many people in Anhua. In their mind, Anhua produces the most distinctive tea with their unique characteristics.One can taste the fragrance and hardness of thousands years of history after sipping a cup of tea. For example, Golden Flower a type of Anhua tea is made up of large tea leaves grown in mountains; after the typical processures of making traditional Anhua Heicha of killing green, fixing, rolling, piling, baking and drying, the bricks of Fucha tea will grow“golden flowers” by eurotium cristatum. Ancient Chinese found that under certain conditions of temperature and humidity, these bricks can grow a variety of probiotics, in result to form yellow shapes like flowers evenly attaching to Fucha Tea bricks. Coupled with the latter transformation, bitterness of the tea gradually fades away, and the taste goes more pure and mild, and it is good for digestion and for cutting down the grease of meals. 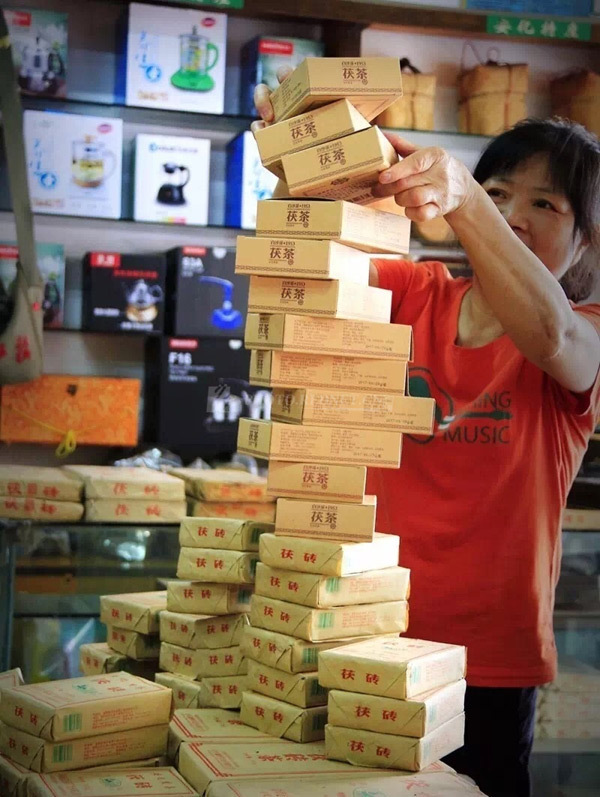 Every “golden flower” presents Chinese ancestors’ life and wisdom; Fucha Tea, the brick-shaped tea, shows the faith, the calmness and the strength of Chinese working people.